Brighter and bolder, i Light Singapore returns for another season of nocturnal art from January 28 to February 24. And for the first time, it's extending beyond Marina Bay to include the Civic District, Singapore River Esplanade Park and Raffles Terrace at Fort Canning Park. This year, the annual festival features a special edition to kickstart the Singapore Bicentennial commemoration with pieces that explore our history. 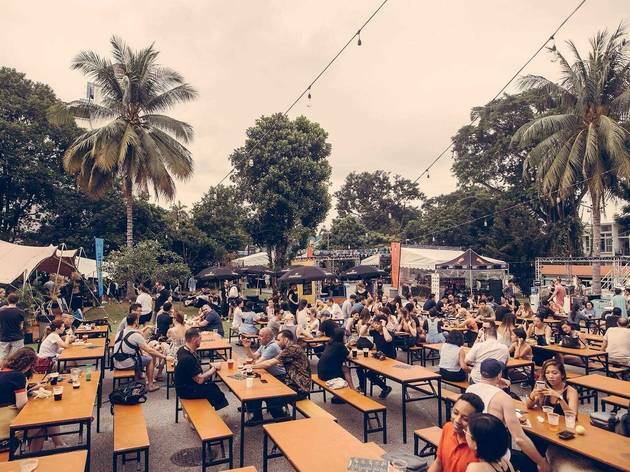 Soak in the ambience as people from all walks of life connect through shared experiences, tasty bites, live music and immersive play – all while learning more about sustainability and the evolution of our city through time. The sundown art event happens from 7.30pm to 11pm daily, with extended hours to midnight on Fridays and Saturdays. Marvel at 33 artworks and take part in over 20 programmes, including five new activity hubs. 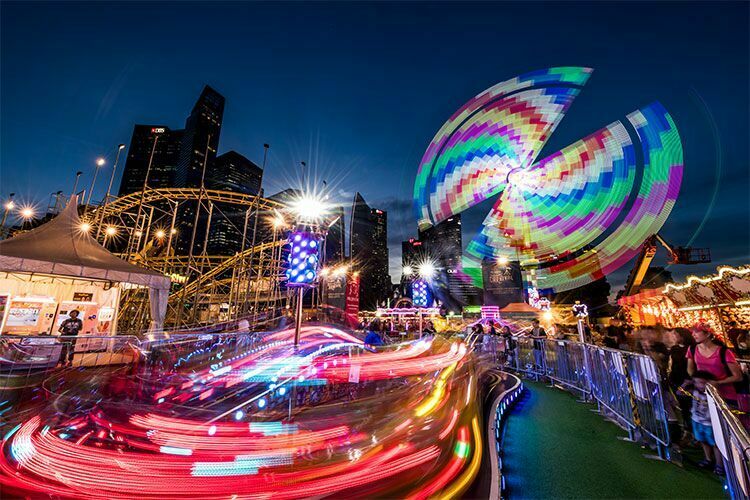 Here’s what to expect at i Light Singapore – Bicentennial Edition. Based on the theme 'Bridges of Time', the kaleidoscopic event features 32 sustainable light art installations and a spectacular multimedia show, by both local and international artists. 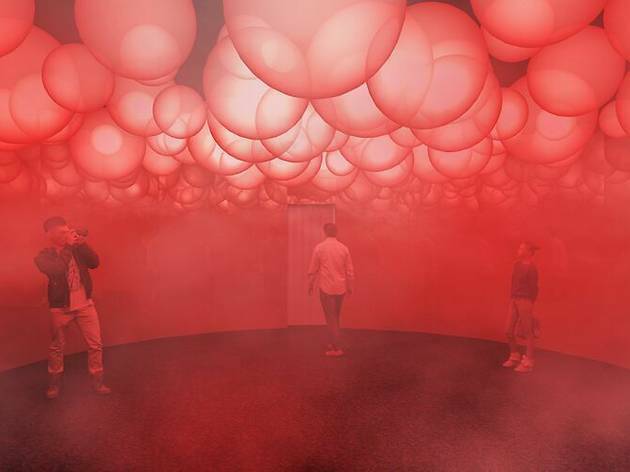 Guaranteed to turn your creative lightbulb on, these thought-provoking pieces delve into the topic of connectivity while reflecting on Singapore’s past, its meteoric growth and international relationships over the last 700 years. Artworks can even be found on six iconic bridges around Singapore River and Marina Bay including Elgin Bridge, Cavenagh Bridge, Anderson Bridge, Esplanade Bridge, Jubilee Bridge and The Helix bridge. 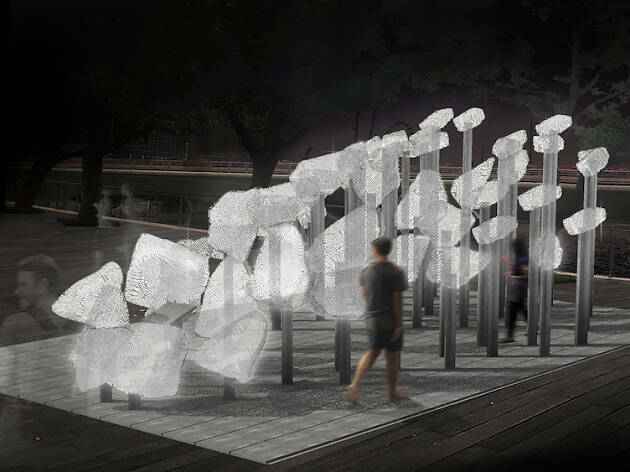 Over at the Civic District, marvel at the reinterpretation of the Singapore stone, Cenotaph for a Stone, by students from the National University of Singapore, and meander through the garden illuminated by HALO by the UK's Michael Davis. Continue towards Anderson Bridge for a masterpiece that's not just pleasing for the eyes but for the ears as well. Time Rhythm by Xavi Bové and Onionlab showcases visual patterns moving in sync to musical rhythms. 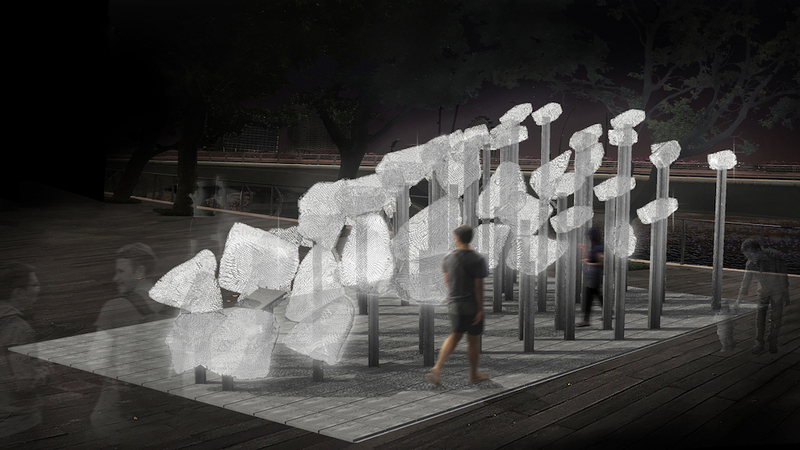 Take a stroll down the Singapore River and immerse yourself in a multimedia show, Bridges of Time by Belgium’s ACTLD, showcasing the journey of a universal traveller who sails through time and space to reach a mythical island in the East. 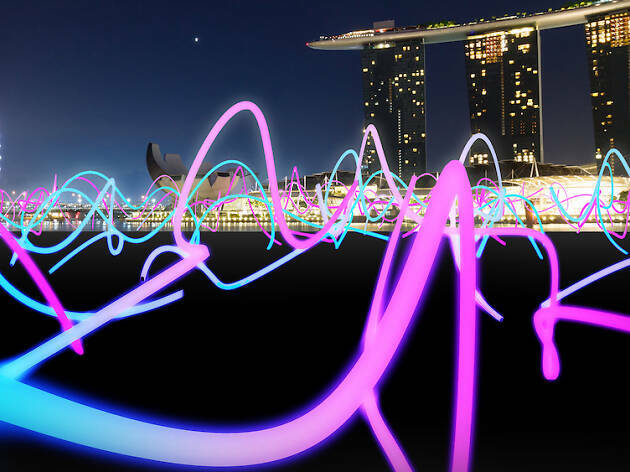 Complete your experience by the Singapore River with Run Beyond by Italy's Angelo Bonello where the lights take shape of a man jumping over the Elgin Bridge. Make your way to Raffles Terrace at Fort Canning Park and join in the fun at the modular interactive piano installation, Keys of Light by The Netherlands' Mr. Beam. Play the piano to see the visuals inspired by Singapore's flora and fauna revealed on the Lighthouse at Raffles Terrace. Various locations. General admission is free. 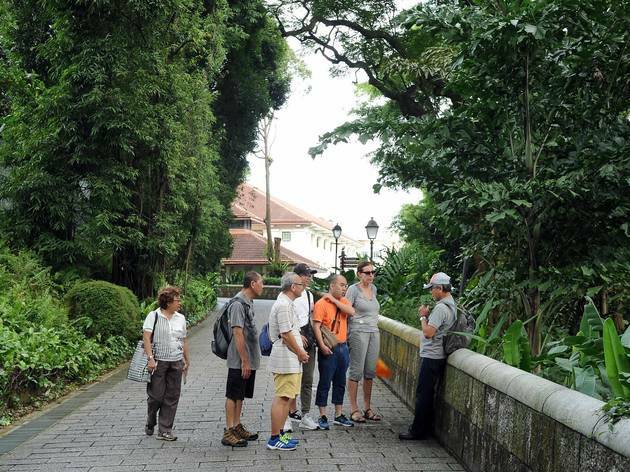 With its rich heritage from Singapore's colonial days, Fort Canning is the perfect spot to highlight the life and legacy of Sir Stamford Raffles. 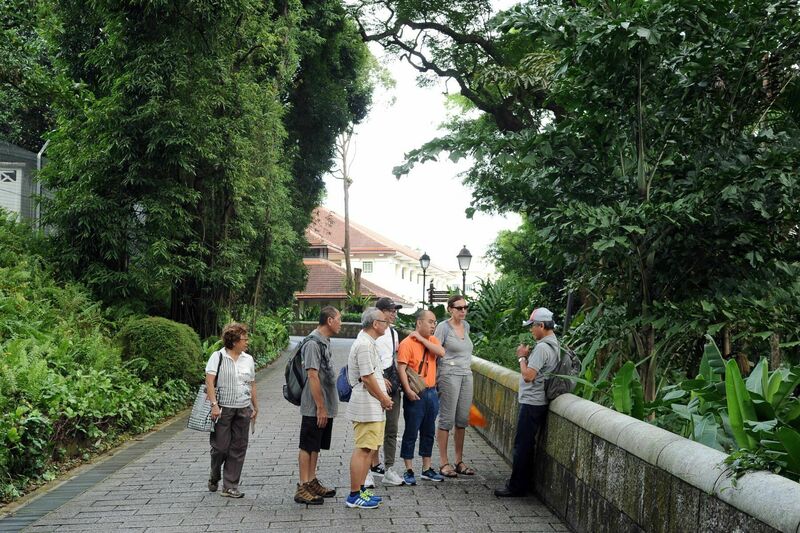 Wander around Raffles Terrace, a replica of the historical figure’s humble abode in 1822, and explore the newly planted area with an enquiring mind. That’s not all – be prepared to be swept away with visually stunning light art installations such as Land-pass Bird and Reflecting Holons, as well as Keys of Light, where pianists from local tertiary institutions showcase their virtuosic skills. Alternatively, you can unleash your inner Beethoven by playing a tune on the piano to create magical light displays. Check out the website for updated performance timings. 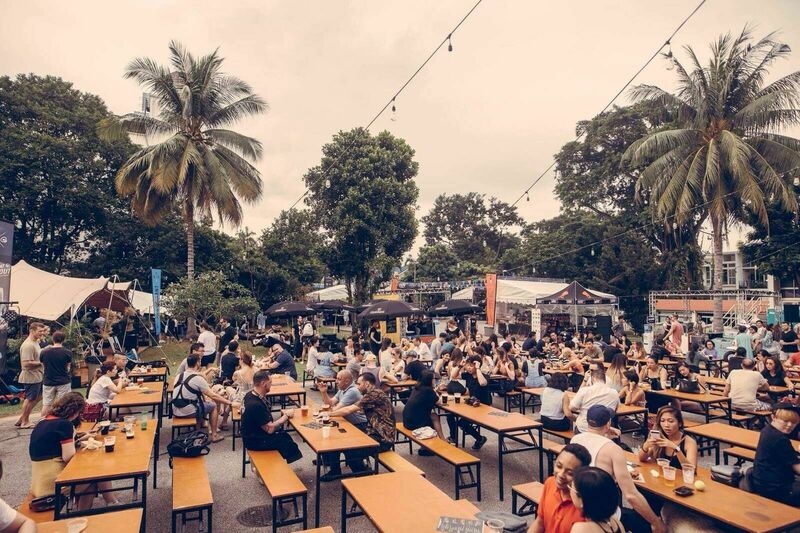 While you're at it, picnic under the stars with food and drink options at Fort Canning – it's mandatory in our books. Raffles Terrace, Fort Canning. Free entry. Witness the lit-ness (and fitness) – The Lawn @ Marina Bay brings together environmental sustainability, well-being and social good in one space. 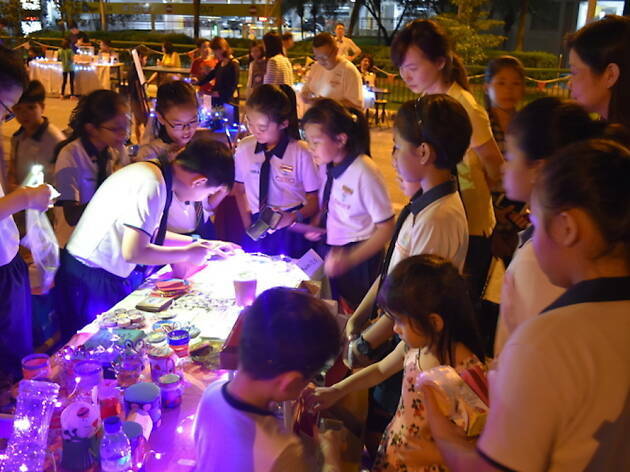 Save your weekends for upcycling workshops (tickets available from $5 to $15) at Terra Village, pop-up booths selling eco-friendly wares at the Sustainable Lifestyle Market and outdoor film screenings by Popcorn Pop-up Cinema. Looking to break a sweat? Find your flow at Pure Yoga’s mass yoga class on February 15 (pre-registration is required). While you explore the grounds, don’t forget to look up at City Gazing Singapore by The Netherlands' VOUW – Mingus Vogel and Justus Bruns, suspended just above you in mid-air. The Lawn @ Marina Bay. Free entry. Embrace the thrill of the grill as Camp Kilo serves delectable grilled platters and crowd-pleasing roast dinners for you to sink your teeth into while soaking up the energetic sounds spun by resident DJs – al fresco style. Marina Bay Sands Event Plaza. Free entry. Set your inner kid free at this gargantuan playground for all ages. 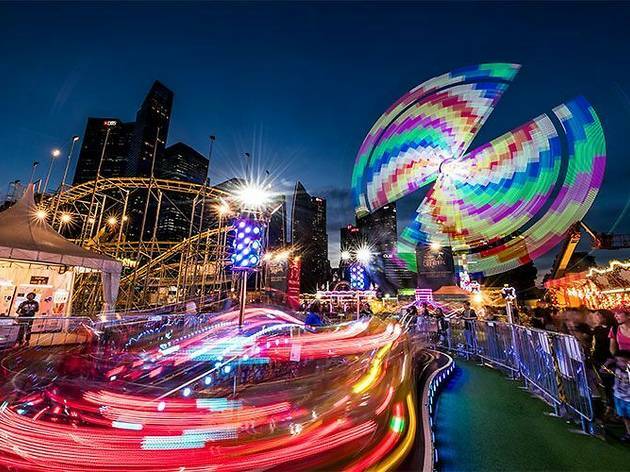 Take a whirl on 50 fun rides and carnival games from Europe and around the world. Get your adrenaline fix on four all-new thrill rides and rotating towers with swinging chairs. Not a fan of thrill rides? The faint-hearted can win themselves a massive teddy and other cuddly critters at the game stalls. Fuel up at the food stations and be entertained by live performances throughout the night. There are also a range of competitions lined up if you’re feeling up to the challenge. Bayfront Event Space. Free entry. What do you get when you combine science and art together? TRANSPORTA – a multi-dimensional space that redefines logic and reality. 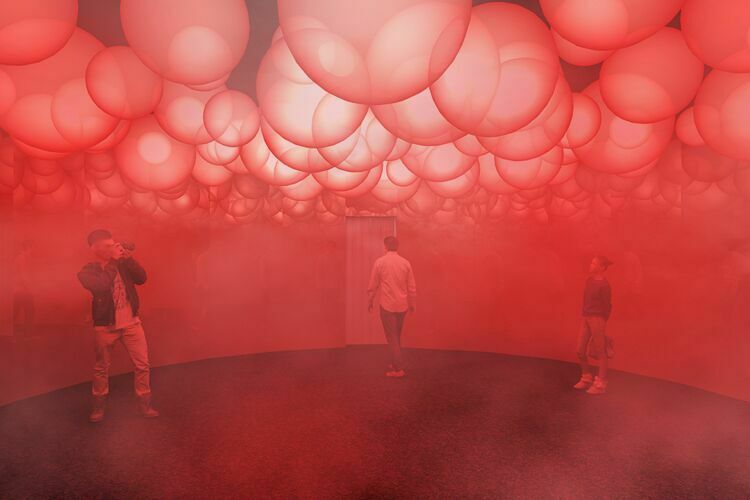 Inspired by the Big Bang theory and the birth of the universe, this immersive installation invites all curious creatures to journey through the beginning of space, light, matter and time. 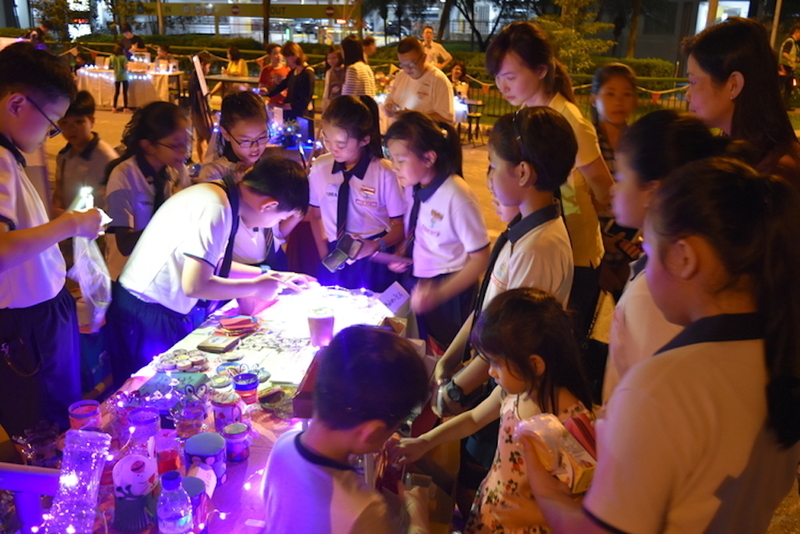 Incorporating gamification, multimedia, sound effects and projection mapping, the space blends from one area to another and visitors can learn about the 'Quark', a fundamental particle of matter, including how they form light. The Incubator @ Esplanade Park, $4.